Dear Visitors and Members, Please read carefully below terms and conditions and you must agree to follow all the rules accordingly. Thanks to stay with Pip2Pips. Here all the content is my own written from my experience and knowledge. If you get anything wrong from my article or review about any farm, please inform me by written from my contact page. Some contents are having few information which are collected as copy from the related brokers / farms and that is a little sentences not all the copy paste. I had used this options as a part of those farms / brokers account holders / affiliate / IB holder and I have right to do that for marketing purpose. Please do not try to copy my content to use another platform, this will be a copy right violation and there is a chance to claim against you. Please note, I am writing also in other community i.e. MQL5 community and you may get some articles in that community as partial or full which are my own content and a part of Pip2Pips source, so please do not be confused. 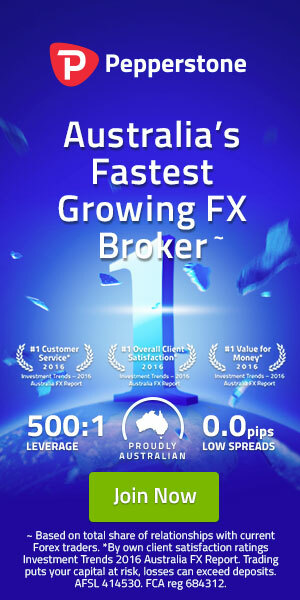 Please note, whatever articles are here regarding forex broker, all the reviews published from my experience and online search engines present records. In the future, if any broker does not match with current status, that is not my liability. Any financial sector can be change their business style, performance, good will, continue, discontinue etc. So, choose your financial platform at your own risk. Please note, you may get bonus offer and lot of attractive offers from forex brokers and which information maybe you are collecting here but all the offers for a limitation period. Everyday article upgrade is not possible, so if you get any expired offer link, please allowed. Please note, this is a personal web site and nothing for commercial use. Your information will not be stored except email address. If you lost your user name or password, simply reset that from the link, this will be generate from the auto system. Please note, as a registered member, you may get email from Pip2Pips regarding any updates or information. Please allow this or unsubscribe from the updates. Generally Pip2Pips is not sending any email to its members unless any important issues. Please note, you may get here some indicators or expert advisers to use for forex trading, some of them are free and collected from different sources and providing here as a part of cooperation to other traders. Loss or profitable guarantee is not mine. Please note, you may get here some indicators and expert advisers which has created by me or my team and providing here as a part of cooperation with other traders, this materials may have some restrictions with validity, account lock etc. Also there is no guarantee for profit or loss. Use it at your own risk. If you feel interest to use any product which are “Pip2Pips” own brand, can submit a request via contact page to get it free for a limited period. Please note, you may get here copy trade signal which is operating by me only and connected with MQL5 community platform, this is maybe showing a profitable strategy / signal, but keep a note, there is no guarantee in the forex market to keep continue profit. Past does not mean that future will be same. So, follow my copy trade at your own risk. As a registered member of Pip2Pips, you are an honorable person to me, if you have any query, suggestion or advice or would like to share anything, feel free to contact with me anytime. Wish you all the best and thanks to stay with Pip2Pips.